Stara Škola sa ponosom najavljuje dolazak jednog izuzetno talentovanog inženjera zvuka, pojačanog sa oba harmonicna projekta koja će nam uživo odsvirati jedne martovske noći u Beogradu. 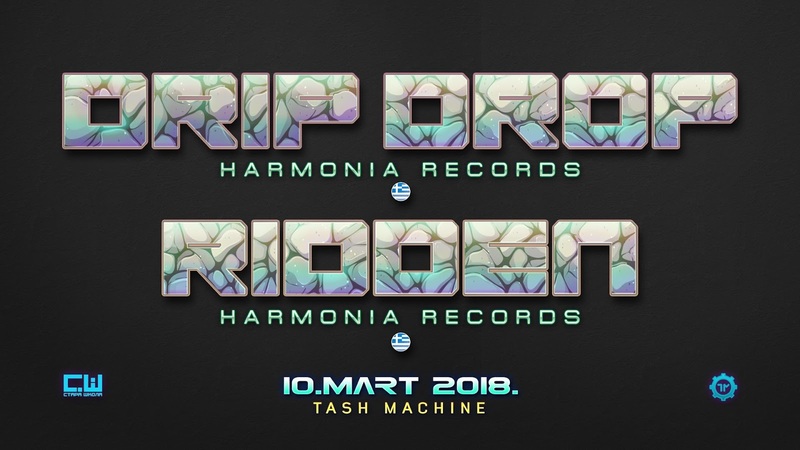 Kao bog večeri, 10. marta - pravo iz Atine u eksluzivni klub Tash Machine - dolazi nam: Ridden aka Drip Drop / Harmonia rec, Grcka! Manda // Stara Skola / Zenit Galaxy Rec. Mozza // Stara Skola / Transcape Rec. Vučko // Stara Skola / TesseracTstduio Rec. Ridden is the breakthrough project developed by Michael Chavales, a sound engineer born in Athens, Greece in 1983. With a deep interest in music technology, Michael started producing psychedelic trance music in 2005, after attending his first festival. It wasn't until 2008 that he joined Harmonia Records and the "Ridden" project was finally born. With two full albums in his background, “Art & Science” and the latest "Journey of Enlightenment" along with many other releases and collaborations in compilations he has managed to captivate even the most demanding listeners. With a growing international reputation, Ridden has participated in numerous major events, making a great impact in any performance. His production characteristics are heavy kick drums, warm baselines, dreamy rhythms and alluring melodies imprinting his distinct signature sound!